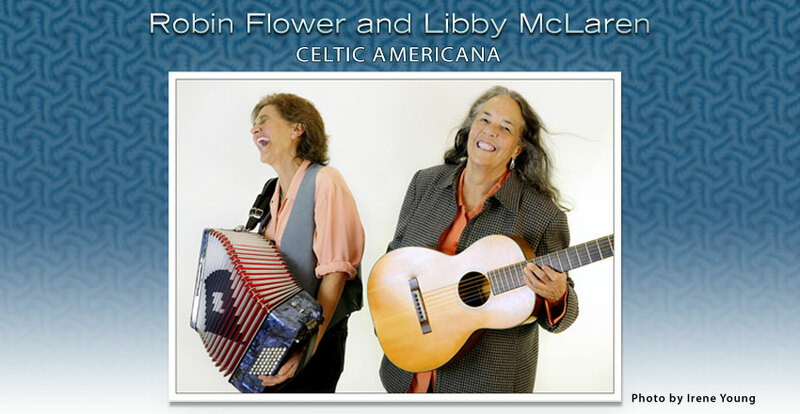 Welcome to McLaren and Flower’s Children’s Performances page! 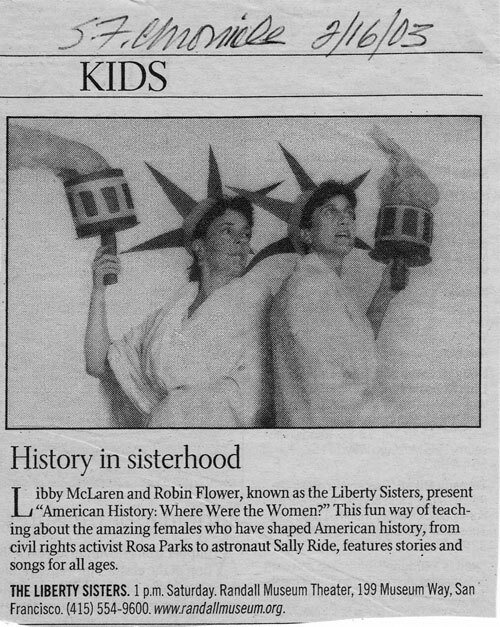 Libby and Robin have been performing throughout California at schools, libraries, museums and other venues for 20 years as the Fabulous Goldrush Sisters and the Liberty Sisters. Below is a description of both shows as well as upcoming performance dates. Please contact us if you are interested in booking one or both of these exciting, interactive, and educational musical performances. 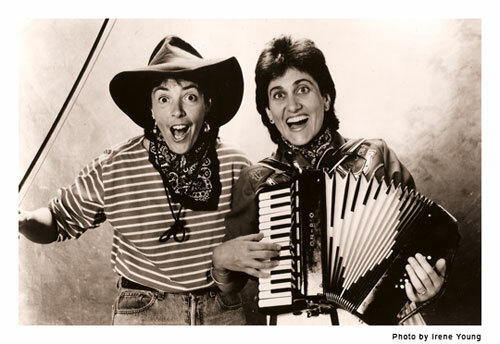 The Fabulous Goldrush Sisters - Songs and stories of the California Gold Rush (California State Curriculum) Playing instruments of the Gold Rush era, including fiddle, banjo, spoons, accordion, and guitar, the Fabulous Goldrush Sisters take you on a fantastic. interactive ride through California’s Gold Rush country in the 1850s with colorful stories and songs. This high-spirited duo takes you on a journey through the Gold Rush camps where you will hear about James Marshall’s discovery of gold in 1848, visit the raucous, hard-working women of Hang Town and gain insight into the effect the Gold Rush had on the Native American population. Meet the infamous stagecoach robber, Black Bart, and learn about the myriad cultures that came to California with one thing in mind: To STRIKE IT RICH! Audiences of all ages can’t resist joining in. The Fabulous Gold Rush Sisters! 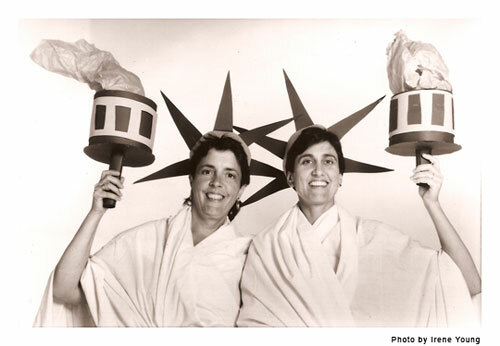 The Liberty Sisters – American History: Where Were The Women? The United States’ amazing and adventurous women come to life through stories and original songs in this fascinating performance celebrating the lives of but a few of many great American women. With Harriet Tubman, Vilma Martinez, Wilma Mankiller, Elizabeth Cotton, Sally Ride, and a changing cast, the audience experiences several periods in U.S. history where women made substantial contributions to our American experience. By presenting a more equitable portrayal of women in American history, students understand how the past helps us see the possibilities of the present and creates a vision for the future. Audiences interact throughout this fast-paced musical presentation.